Even an unconditional love for running allows us to skip training from time to time. Sometimes we do so because of a nasty weather, or an urgent meeting, or because the last episode of a favorite tv show is on. Does any of that sound familiar? Well, it looks like you could use some motivation. When people get tired of the gym or perfectly-designed running tracks they turn to nature. A change of scenery involves running up and down the hiking trails enjoying the views and breathing in fresh air. Being one-on-one with the nature has an obvious positive effect on the mood and well-being. First of all, it’s great to unwind away from the fast-paced city noise and smoke. 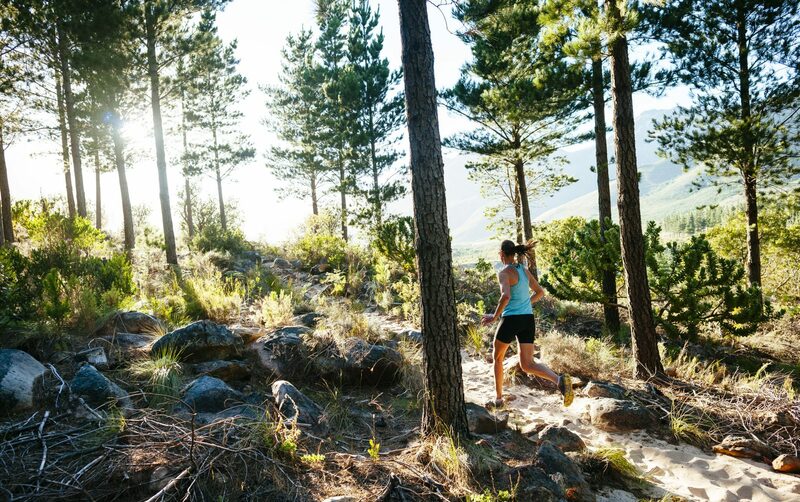 And second of all, trail running has all the winning points because you get to burn calories, boost stamina and increase cardio endurance, all while appreciating striking landscapes. And without having to pay for a gym membership! If there are no hills where you live, you can always choose jogging in the woods, or by the river, or by any other beautiful natural sight. Running get-togethers are becoming more and more popular, particularly in the cities. And there is a good reason behind it. It’s easy to find a million excuses to skip another run, but it’s not that easy to let your running buddy down or, in the case of community runners, a whole bunch of running buddies. Groups of co-workers, chief executives, expats, fitness enthusiasts, mothers on maternity leaves, students who pursue similar goals are eager to join or form running communities. In addition to running activity they often create groups on social media to keep each other accountable or gather for a healthy brunch every other Sunday. There are also one-timers who organize running groups occasionally in order to raise money for charity or prep for a marathon together. Community experience helps people reach their running goals faster and have fun along the way. Personalized approach to running keeps trending. Thanks to running apps, pace trackers, data analysis creating, a workout plan for achieving personal goals has never been easier. It’s been a long time since ‘one-size fits it all’ approach has been considered appropriate, especially when it comes to physical training. It’s clear that everything from personal goals to a person’s parameters should be taken into consideration before the development of a training program. Approach that’s been neglected at schools and universities claiming that everyone needs to hit a qualifying standard to get a good grade. 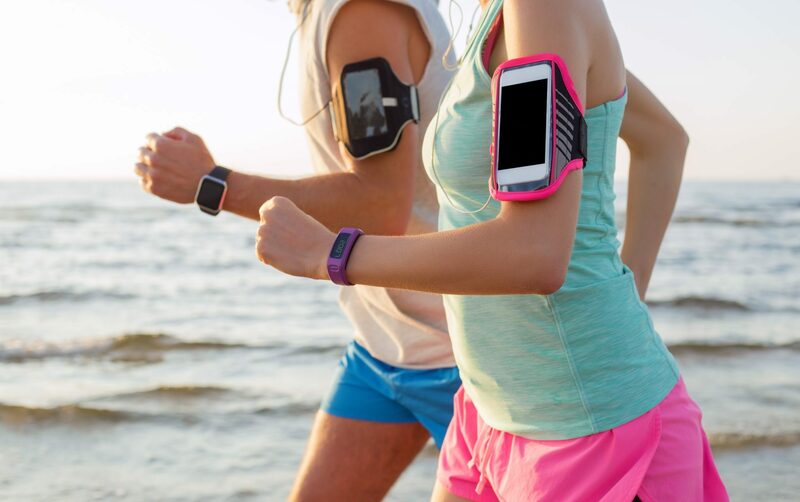 Now more and more people stick to technology because they want to save time and have one device for their training plan, custom meal plan, water and calorie tracker, evaluation of distance and pace and more. The good news is that modern apps and gadgets can provide for that. It means eco-friendly jogging for a good cause, which is picking up trash. This trend brought to us by Sweden has been here for a while now and it still remains a hot topic for discussion among the running enthusiasts. 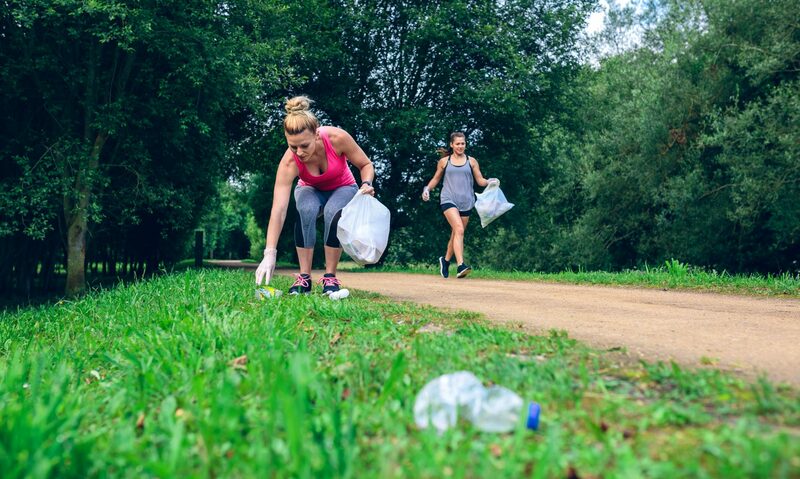 Plogging (which is a hybrid made up of two words ‘plucking’ and ‘jogging’) is a rewarding activity, since it is an opportunity to do a nice thing, such as helping out the planet. And to top it off, your body gets to do some extra exercise, like side bends and squats and carrying additional weight. Plogging has already become so popular it’s supported by thousands upon thousands of people from all around the globe. If you think that running on a treadmill is tedious and it’s taking away all the valuable time that you could dedicate to something else, there is no need to choose anymore. If you are a fan of night sky gazing or sunset gazing, do it while you jog. Want to catch up with old friends but don’t seem finding the time for the two? - Invite them along! If you are seeking an inspiration both for your physical activity and for your hobby, you might as well unite the two. 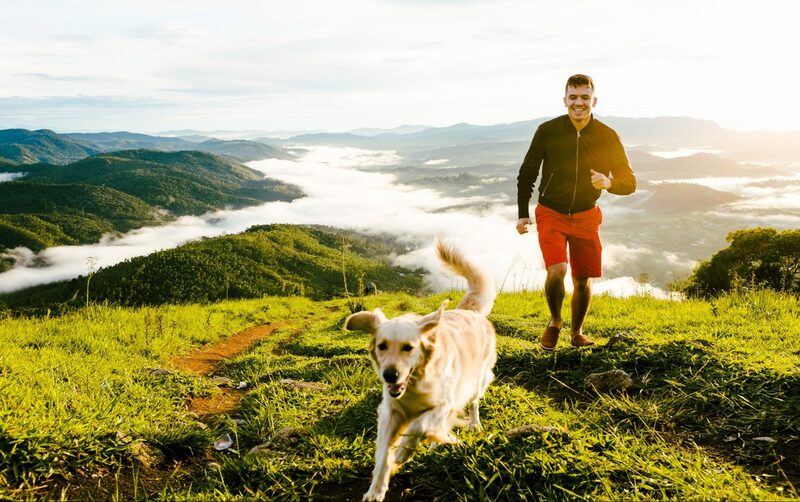 If you have a dog, take it with you - with running and dog walking combined fun is guaranteed to you both. If you want to practice photography, bring your camera next time you go running. This also can be a good motivator to wake up early - you’ll get beautiful pictures in the morning light. Of course, running is not compatible with every activity you can think of, but there’s still plenty to choose from. Once you find your perfect combo, be sure to get a double benefit. These trends can not only help motivate runners but also make their training twice as effective, help them be better at what they do, form a strong bond with their community and make new friends. This doesn’t sound too shabby! Do you know any running trends that we forgot to mention? Share them with us in the comments.